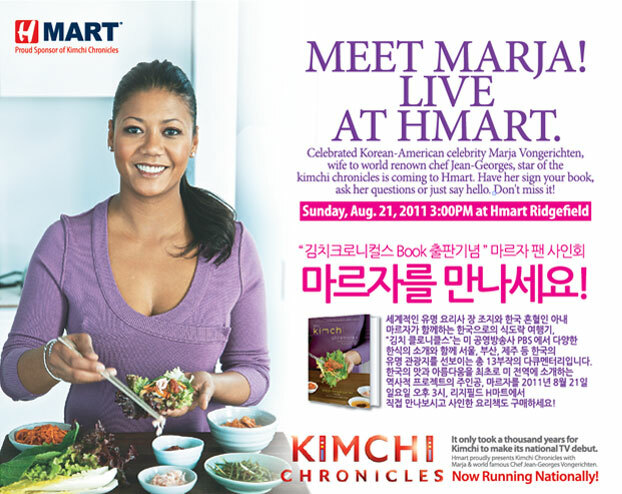 It’s that time again, Marja will be signing books at the Hmart in Ridgefield, New Jersey this upcoming Sunday, at 3 pm. Come to get your cookbook signed, meet Marja, and even pick up some much needed Korean groceries while you’re at it. We hope to see you all there!